I hope you are all enjoying the current challenge theme ? Interactive is such a fun theme and I cannot wait to see all your creations for the challenge. One of the things I really want to do this holiday season (I know its summer but I like to plan ahead) is spend more time with gift wrapping, especially as we don’t have that many gifts to send it would be nice to make them more personal. So I decided to give making shaker tags ago. I have used the Hero Arts Infinity Tags along with their Coffee Cup Stamp & Die set. All supplies are listed and linked below. I started out die cutting two tags from Kraft Card and one from fun foam. I then used the main cup die on the fun foam and just one of the tags. I then took the die for the coffee cup foam and die cut that from some white card. For this I wanted some dimension and also some shimmer so I roughly applied some Nuvo Glimmer paste and set it aside to dry whilst I created the rest of the tag. The stamp set has To & From stamps so I stamped these on the back of the tag. When die cutting fun foam it tends to stretch so I always trim it down a bit so it isn’t over hanging. I then added some Acetate over the window and adhered the fun foam. I wanted this to be quite full so I used various different sequins and seed beads and filled the shaker well up before adhering the back of the tag. I decided something was missing at this point so I stamp another sentiment from the set using Distress Oxide. Once my “foam” was dry I adhered this and added some ribbon. I have to say I really enjoyed making this, and it was quick and easy too and will definitely be something I will be making more of for the holiday season. It’s Donna here and we are collaborating this month with Chibitronics! What is Chibitronics? They’re a great company that make electronic stickers that have lights on them that allow you to add lights to your cards or projects. They are very easy to use, and the kits come with wonderful instructions, and they have amazing tutorials to help guide you to use their products on their website. 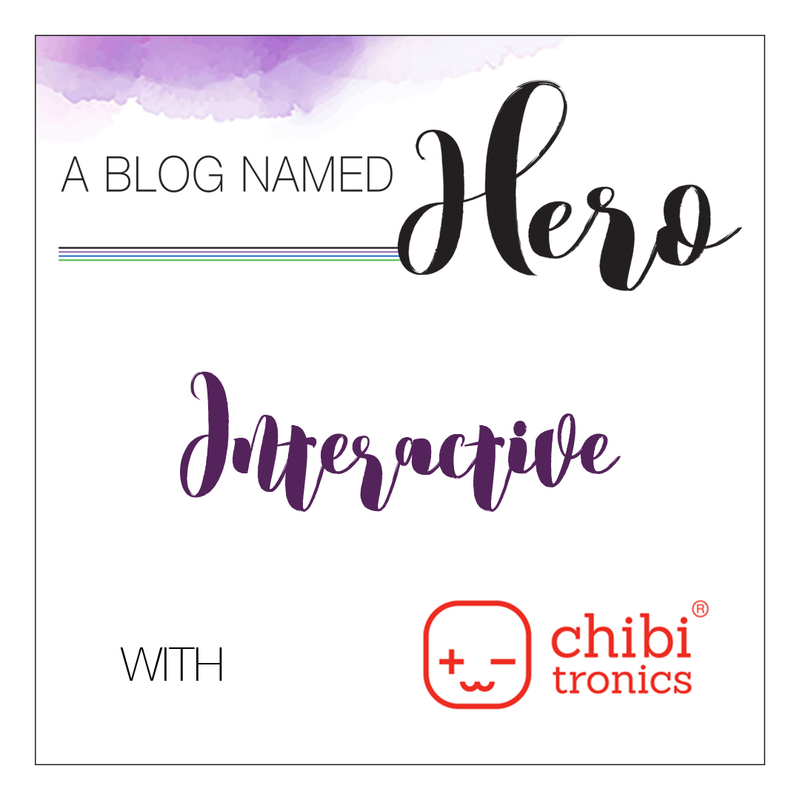 This month challenge is “interactive”, which seems to fit with the Chibitronics! If you don’t have Chibitronics you can make a slider or shaker card or anything you can think of that would be interactive! We can’t wait to see what you come up with. Here is my card, I am using the Hero Arts Destination stamp Washington, DC. I just had to have this stamp because I work in DC and since it is almost time to celebrate Independence Day this was the perfect stamp for and interactive card with the fireworks going off in our Nations Capital. It’s hard to see, but the light is on where the fireworks are going off. 4. I then used some distress inks to make the background. 7. I put the lights where they needed to be (putting the negative and positive side on the correct copper tape. After I figured out where the lights should go, I used some foam tape so I could pop the piece on my card. Here is what it looked like after I put all the foam tape down and centered it on the stamped part of my card. I added some adhesive and this part is ready to be put on my layer for the card. We can’t wait to see what you create. Don’t forget to read our Challenge Rules to make sure you’re eligible to win. You can submit your project here! Happy Monday to each and every one of you. 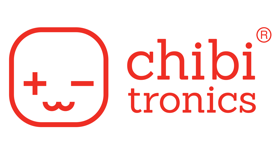 Today we are so happy to announce that we are collaborating this month with Chibitronics! What is Chibitronics? They’re a great company that make electronic stickers that have lights on them that allow you to incorporate technology into your cards and crafts. They are very easy to use, come with wonderful instructions, and they have amazing tutorials to help guide you to use their products. Our challenge theme this month is “Interactive”, which seems logical, right? So, for those of us with Chibitronics kits, that might mean a light up card. If you don’t have this product, yet, you might make a shaker card, or a slider. As long as it’s interactive, and uses Hero Arts, it qualifies to win a prize from Chibitronics. Here is the first group of cards from our Design Team. Click on the picture to be taken to their blog post with more details. Hello! Kelly here today with a card I made using Hero Arts stamps and products from our June collaborative company, Chibitronics. Chibitronics are such a fun way to make a card interactive. With Father’s day coming up I thought it would be useful to make a masculine card. I googled glowing mushrooms and found some inspirational images for my card design. I started out by stamping and embossing all of my Hero Arts Images. I then colored the images using pencil crayons, blending and layering the colors with white pencil. Once my card front was complete I made my circuit. This was a fairly simple circuit to create, I placed my card front onto a white piece of card stock which was 1/4″ bigger. I marked the corners of the front on the white card stock so I could see where to line it up then I marked where to place my light basically by eyeballing it. I placed the battery under the snail so that when the snail is pressed the circuit is complete and the lights turn on. I found the sketchbook that came with the Chibitronics starter kit very helpful in learning how to use this product. After adhering my card front on top of the circuit using foam tape I used a large needle to prick holes into the mushrooms so the lights would shine through. To finish my card I added some Glossy Accents to the snail shell and the mushrooms. Thanks for stopping by! Have a great weekend. Please come back Monday, June 5 to see more inspiration and our June Challenge info.